An interesting article from telecoms.com, stating that we spent a collective of 900 Billion hours staring at our smartphone screens in 2016, up 25% from 2015. But is this all on games? No, it's not. With the need for people to be available on-the-go, there is a significant increase in work-based apps. Also, people are using their devices more and more to manage their daily lives. Banking apps are mentioned, but also fitness apps and apps such as Uber have taken the world by storm. Online shopping is another great example, who goes to the shops these days?!? I sat on the train today, heading into Soho for a meeting, and a very rare phenomenon occurred; I had a conversation with another passenger. 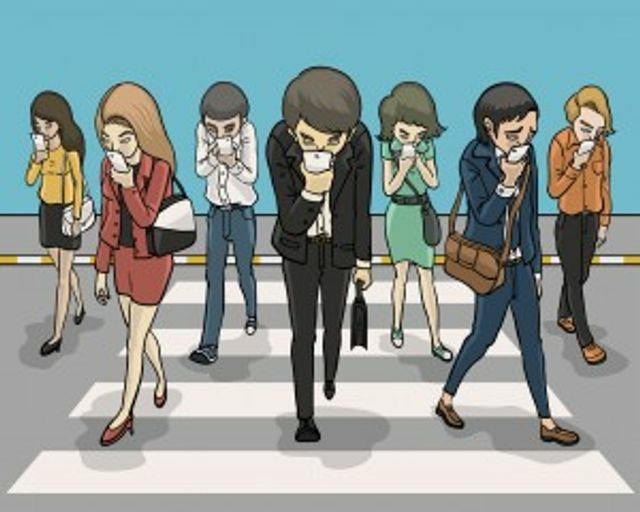 We discussed how times had changed and wondered if the 100 or so other commuters, that were giving themselves neck ache staring down at their phones, were indeed catching up on social media, playing Soduko, or were in fact working. Although hard to judge, and not wanting to snoop over shoulders, it appeared that the majority of people were in "Work-Mode", with stern expressions or panicked looks where they were reading and responding to emails. What is most interesting is that there are far fewer lap top bags being dragged around and people seem to be using one device for all more and more. This lead me back to a great product launch that I attended recently for the new HP windows phone, the X3 Elite. When listening to the marketing spiel about how the future is "One Device for all", I wondered if there is a market for this and how well it would take off. It is a bit of a niche market, providing a mobile phone with the processing power of a desk top PC, that actually acts as your desk top when in the office, and can connect to a blank note pad/laptop if so required. However, looking at the commuters today and seeing how 90% of them were fixated on their phones, it has really started to make sense. Perhaps that niche market is a lot larger than you would initially estimate. We provide and support a lot of larger mobile fleets here at 2 Circles and the reliance on having a modern smartphone with lots of features and functionality has grown exponentially from the old Blackberry days. Different companies prefer different devices. We have our popular models, but there doesn't seem to be one "winning" formula. It would be interesting to hear from you with your opinions and preferences. Total usage of apps across the course of 2016 increased 25% in comparison to 2016, with consumers having their heads down for a total of roughly 900 billion hours. While this might seem like an extraordinary number to begin with, the growth was primarily fuelled by the developing markets where smartphones sales are holding up the sluggish industry. Brazil accounted for the biggest rise, whereas India topped the list for collective time.